Road Tests - D2L Driver Education Ltd. 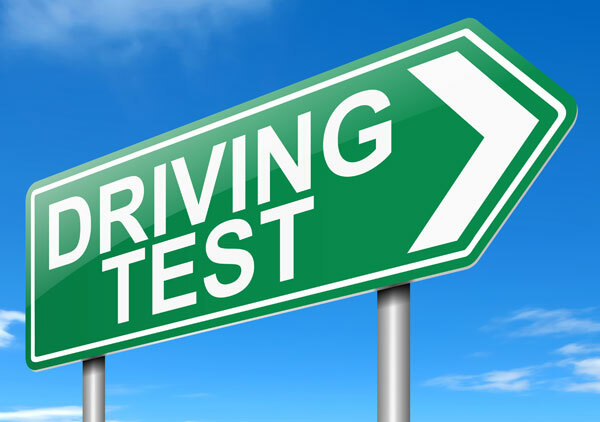 There are various locations in Red Deer and surrounding area where you can go to do your class five road test. Driving examiners are there to assess your ability as a driver. It can be nerve wracking as a person gets behind the wheel with the examiner in the passenger seat but don’t despair, if you have practiced and have performed the maneuvers correctly and consistently you should be fine. There is nothing wrong with doing a commentary as you drive, explaining the various hazards and road conditions that are informing the decisions you are making as you drive. Shoulder check properly every time you leave your lane (changing lanes, even when pulling away from the curb) and when you turn either right or left, taking a final look for pedestrians. Right turns must be made from the curb lane unless there is a vehicle in the lane and you simply cannot get in. Be aware of your speed. Know which zones are in effect when you are doing your test. Slow down to 30 km/hr by the time you pass the sign and don’t start speeding up until you are out of the speed zone. On the other hand, don’t try to show the examiner how safe you are by doing 30 km/hr throughout the entire test. It doesn’t show that you are safe, it shows that you don’t know what you are doing. Pedestrians have the right of way. All intersections have crosswalks, whether they are marked or not. If there is a pedestrian waiting at the intersection don’t simply assume they are going to wait or are going to cross a different way. Wait until they have given a very obvious sign indicating that their intention to remain there before you proceed. If a person is about to jaywalk do not stop for them. However, once they have stepped onto the street, despite the fact that they are crossing illegally, you must stop for them. Stop completely at stop signs making sure you are behind the stop line. Scan for pedestrians. Once you are certain there are no pedestrians, move forward slightly if your sight lines for vehicular traffic is obscured by fences, bushes, signs, parked vehicles, etc. Some people think that the stop sign indicates where you need to stop. Sometimes this is true more often than not it is false. The stop sign itself tells you that you have to stop. Where the sign is located only tells you that this was a convenient place to put the stop sign. Stop behind the stop line and, if there is no stop line, stop far enough back from the intersection so that pedestrians don’t have to walk around the front of your car to cross the street. For more information about the class five road test, check out AB Transportation. You will have to book your road test on your own. This is not something done by your driving school. However, some driving schools will allow you to do your road test in the driver training car. Some schools offer this for free others require payment.